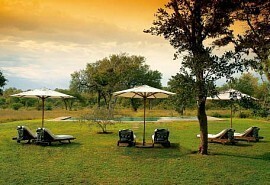 Arathusa Safari Lodge is situated in the northern part of the Sabi Sand Game Reserve, adjacent to the Kruger National Park. 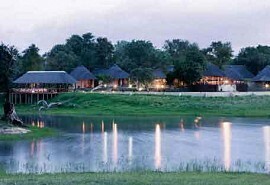 The lodge is famous for its incredible concentrations of game and it's large and very active waterhole. Offering an exceptional safari experience, Arathusa has luxry chalets that overlook the waterhole and the surrounding bush. Qualified rangers and trackers ensure that guests are offered the opportunity to view and photograph animals at close range. 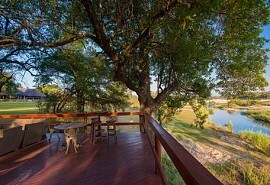 Arathusa Safari Lodge prides itself on its leopard viewing. These territorial animals make their regular appearances in the area. Many of the animals become familiar and are easily recognized thus many have been named. Large herds of buffalo, often in excess of 300, meander their way to the Arathusa Lake, along with the resident elephants. There are various lion prides in the area. Over 90% of guests will experience The Big 5; a perfect opportunity to experience Africa at its best. Activities that are on offer at Arathusa Safari Lodge are game drives, walking/hiking, photography, birding and swimming. 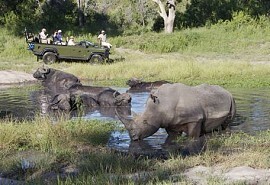 Two game drives go out every day in open Land Rovers, with individual seating for maximum comfort. On the very early morning drive guests are served refreshments under a thorn tree and on the sunset drive, drinks and snacks are served. Activities are accompanied by expert rangers who will share their knowledge of the fauna and flora and make the experience that much more enriching. 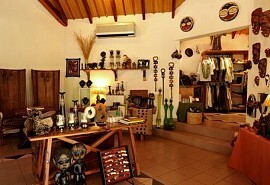 Guided bush walks are also available at Arathusa Safari Lodge.